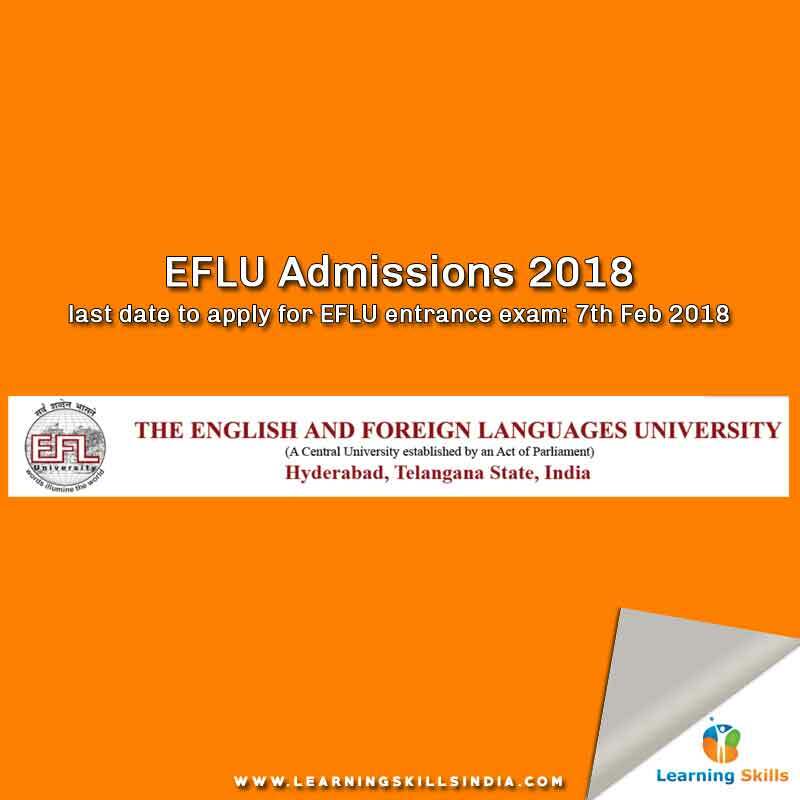 As per the EFLU Entrance Exam 2018 notification, the last date to submit an application is 7th February 2018. 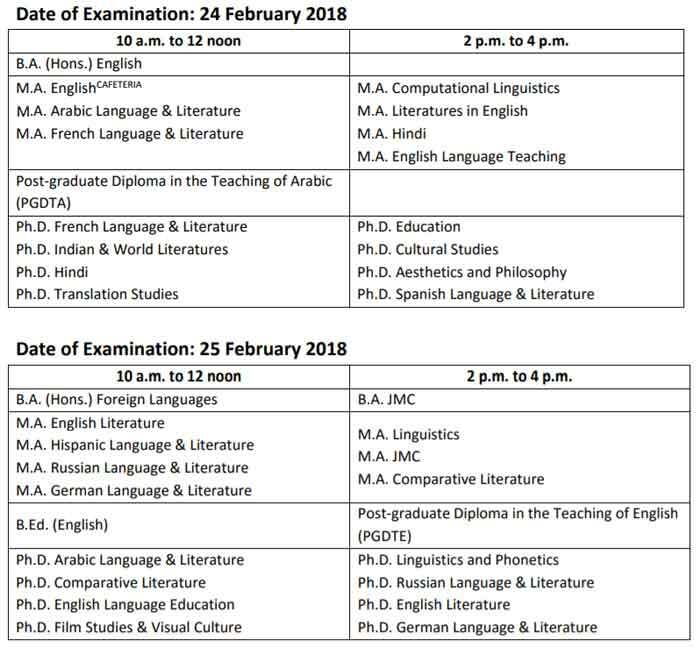 The entrance exams for various courses at EFLU are scheduled on 24th and 25th February 2018. From this EFLU Entrance Exam 2018 notification, we bring you all important details such as important dates, eligibility criteria, entrance syllabus, and application process. EFLU – The English and Foreign Languages University – is renowned for offering literature course primarily in English and other languages such as French, Russian, Hispanic, German etc. It is a central university that’s established under the act of Parliament and also accredited with NAAC ‘A’ grade. There are three main centers of EFLU that are in Hyderabad, Shillong, and Lucknow. If you want to build a career in linguistic/language, then EFLU can get you started with lucrative opportunities right after graduation. However, getting an admission in EFLU can be a challenging job. Therefore, proper preparation should be there before you appear for the EFLU entrance exam 2018. For most of the MA programmes at EFLU, the eligibility criteria are – bachelor’s degree in any discipline with 55 percent marks for General and OBC categories, 50 percent marks for SC and ST candidates. Rest you can check the detailed information on Eligibility Criteria for MA entrance exams at EFLU in the original online prospectus from page no. 9 to 28. After successfully registering you will get ID and Password on your registered number and email address. You’ve to use to start your application process.